The "System Administrator" user should not be updated or changed, if you wish to have additional users you can always add new ones. The System Admin is the master user and required for LEAP and for Treefrog to assist you - if it is removed it's a billable service to get it back. 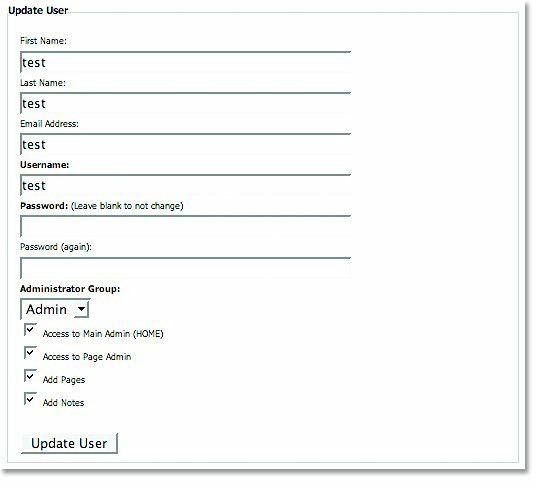 In the Main Admin section, select Administrators module. Select Add Administrator. Add	the	person’s	information and select Add User. 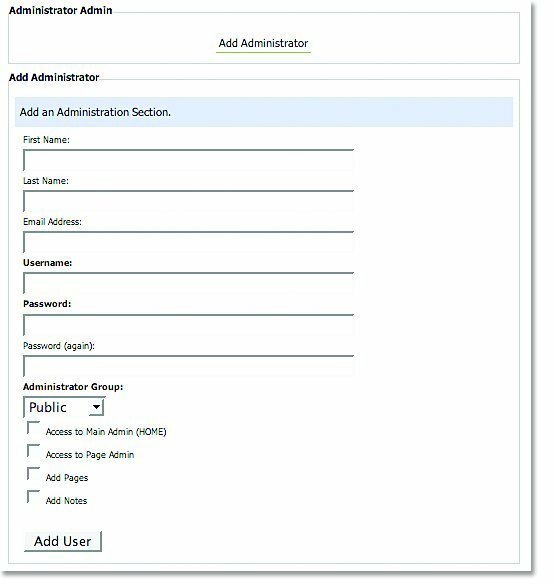 In	the	Main	Admin	section,	select	the	Administrators	module. Select	the	Edit	icon	next	to	the	name	of	the	person	you	wish	to	edit. Make	the	desired	changes	and	select	Update	User. Select	the	Delete	icon	next	to	the	name	of	the	person	you	wish	to	remove. 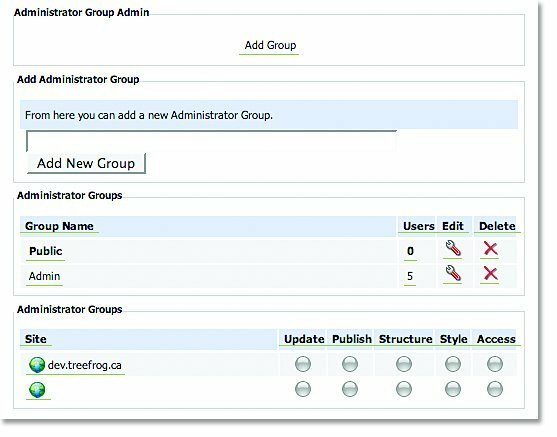 In the Administrator Groups module, you can create groups to organize the approved users, and to control which aspects of leap‰ each group can access. For example, you may want your management team to have full access to all Administration and Content modules while preferring to limit other departments to accessing the Content modules only. 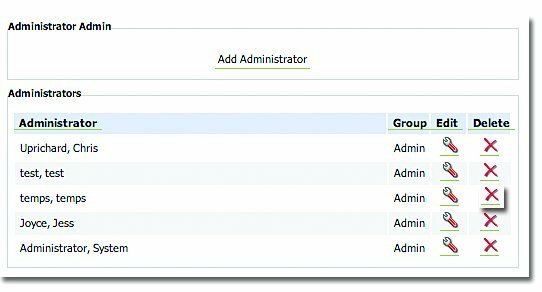 In the Main Admin section, select Administrator Groups. Create	a	name	for	the	group	and	select	Add	New	Group. 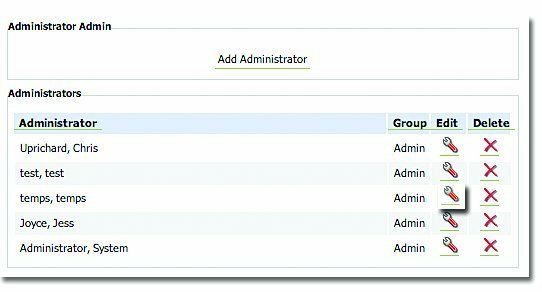 In	the	Main	Admin	section,	select	Administrator	Groups. Select	the	Edit	icon	next	to	the	group	you	wish	to	change. Select	the	buttons	you	wish	to	give	access	to	under	Update,	Publish,	Structure,	Style	and/or	Access. Select	the	Delete	icon	next	to	the	group	you	wish	to	remove.